During our more than two months in the area, we’ve had some time to get acquainted with not-so-little Qosq’o (Quechua name). What we’ve discovered is one of South America’s most unique and appealing towns in one of the continent’s most unique and appealing regions. No wonder UNESCO declared Cusco a World Heritage Site. 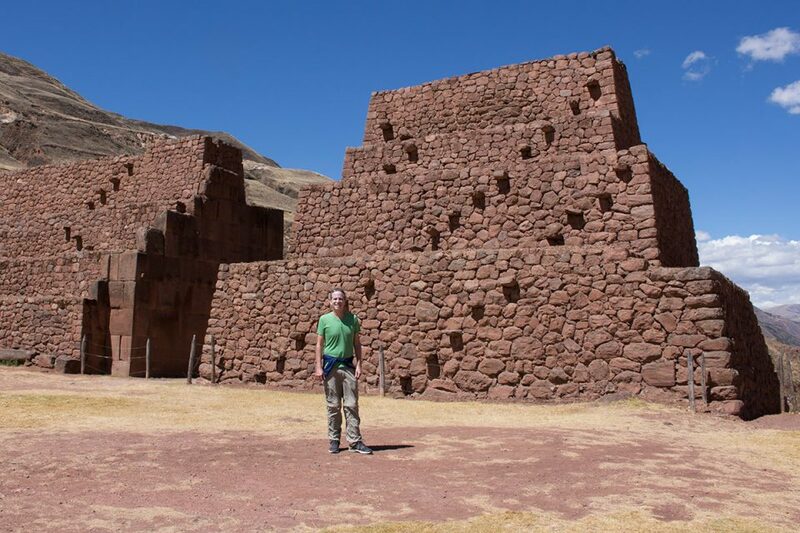 Here’s just a tiny sample of all the great things to do in Cusco and the Sacred Valley. It’s easy to miss details if you rush through Cusco. 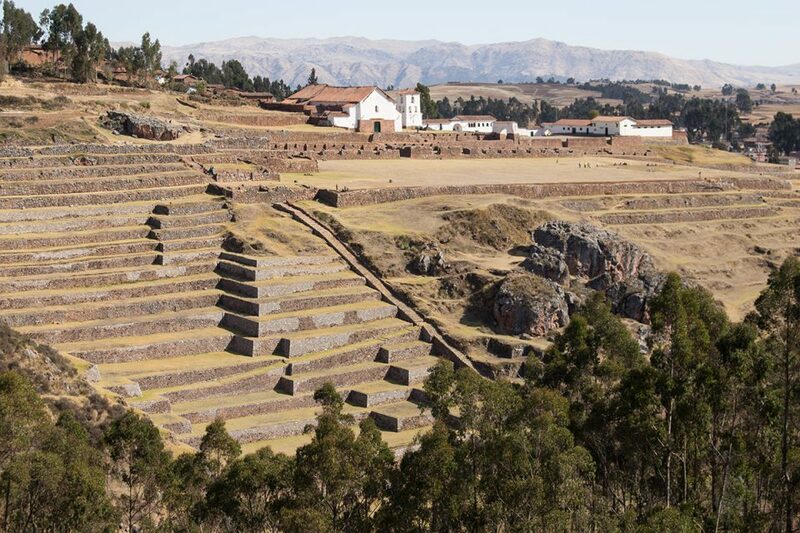 But those who stop and look around will discover that the entire core of this architectural gem is built on the foundations of the capital of the Inca Empire. 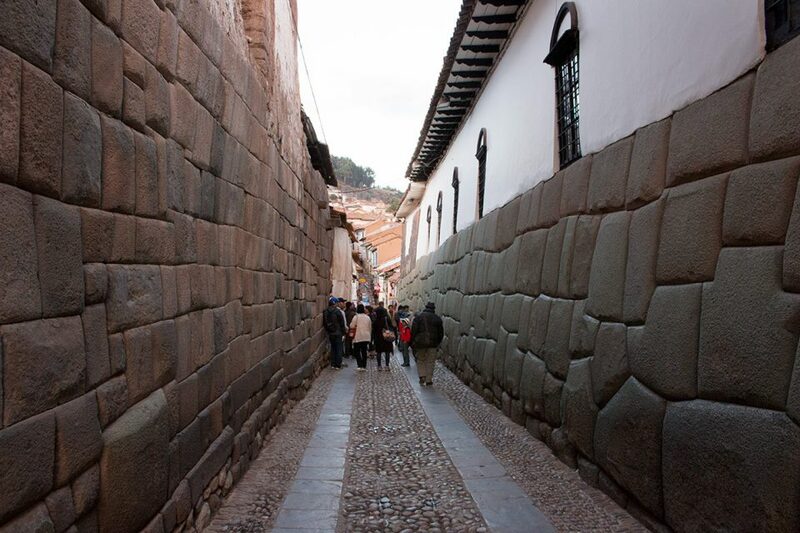 Everywhere you walk, you discover the impressively huge blocks that characterize Inca masonry. These walls were too bulky and heavy for Spanish invaders to move and they were also extremely earthquake resistant, so the colonists just chose to integrate the walls into their houses. Some houses have even incorporated intact Incan doors. As you walk around town, keep your eyes peeled for masonry featuring small, easy-to-miss animal carvings. Our favorite areas were Loreto, Romeritos, Hatun Rumiyoc and Inca Roca. And be sure not to miss the amazing foundations at Koricancha. 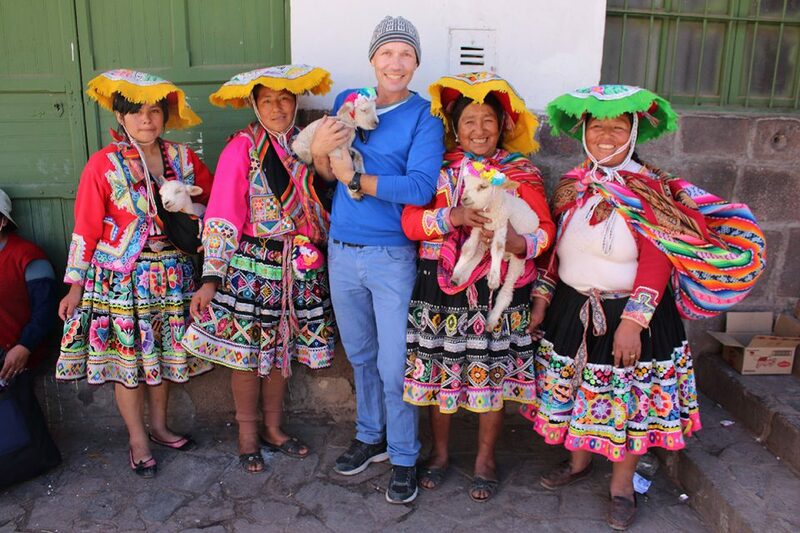 Throughout Cusco and the greater Sacred Valley, lamb ladies prowl for tourist cameras and a few extra soles. It’s easy to dismiss them as unauthentic or another example of tourist cheese. But in reality, many of these women are from the highlands and posing in traditional clothing is one of the few options that native people have in the city. Most of the lamb ladies are pretty sweet and talking with them is free. 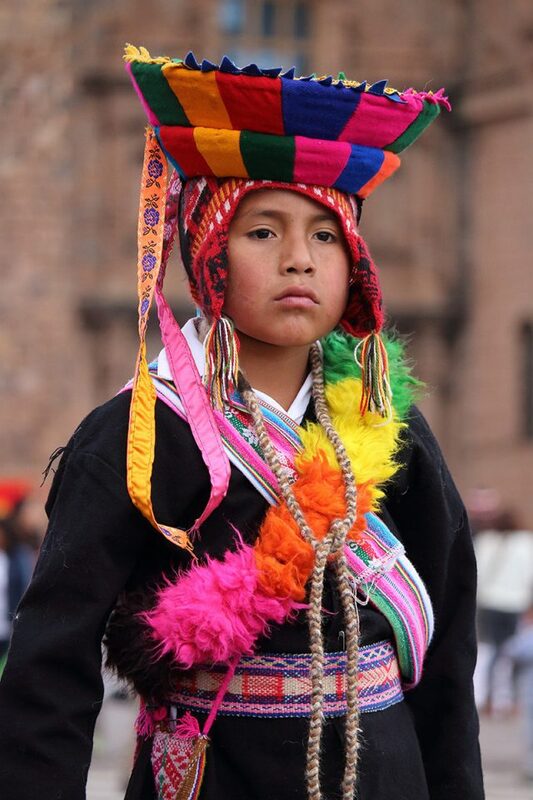 Take a moment to notice some of the regional differences in the clothing styles and textile patterns that you see around the Sacred Valley. While neo-Incan nationalists might not love it, Cusco is filled with spectacular colonial architecture. Unfortunately, much of that architecture is built on top of previously grand Incan temples and palaces. Having said that, the city is filled with beautiful churches and grand casas, several of which boast impressive courtyards and beautifully carved balconies. It’s unfortunate that many of the religious buildings require the overpriced Boleto del Circuito Religioso which covers the Cusco Cathedral, the Temple of San Blas and the Archbishop’s Palace. There’s no casually strolling in and out of the nicer churches here. But bargain hunters take note, church exteriors are free, and so is the city’s beautiful Plaza de Armas. I don’t think we have ever been to any location outside of India that has more festivals, parades, and religious processions than Cusco. Every single time we walked around the Plaza de Armas, there seemed to be something going on. One day masked dancers pretending to be drunk stumble through the streets, the next huge fireworks displays mounted on rickety bamboo frames explode and catch fire. 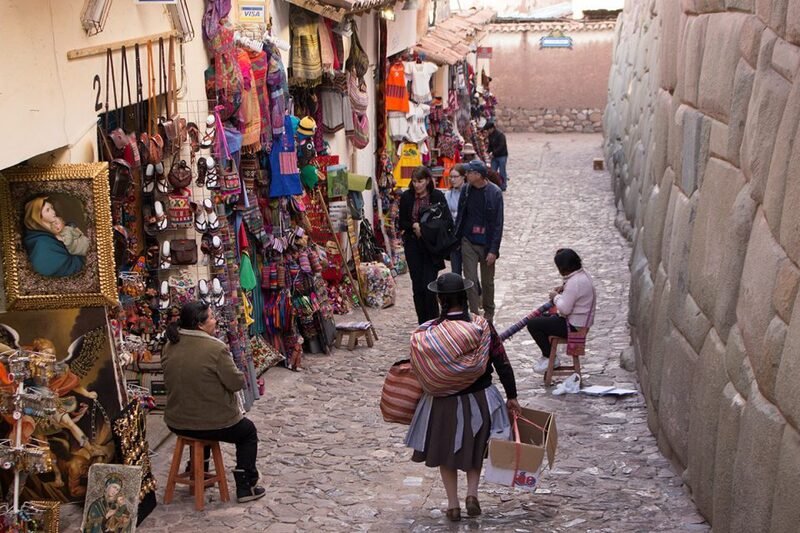 We have a certain fascination with tourist kitsch – and Cusco has quite a bit. There is a certain thrill to wandering through tourist market after tourist market of colorful hats, scarves, gloves, wall hangings… whatever you can weave or knit. Actually, I found the piles of Quechua-influenced tourist paraphernalia kind of spectacular. There’s also a nice selection of quirky religious art. In addition, there are some great street vendors up in San Blas. Some of them sold jewelry made of intricately braided fishing line!!! And don’t worry, if the kitsch doesn’t interest you, there are more upscale stores selling luxury alpaca goods and high-end art. Frankly, Cusco is not the best place to eat in Peru. The constant flow of tourists means that lazy eateries in the tourist center can serve second-rate food and still survive. Bad Italian, chicken with fries, and a few watered down Peruvian specialties sums up most of what you are likely to encounter in the tourist zone. 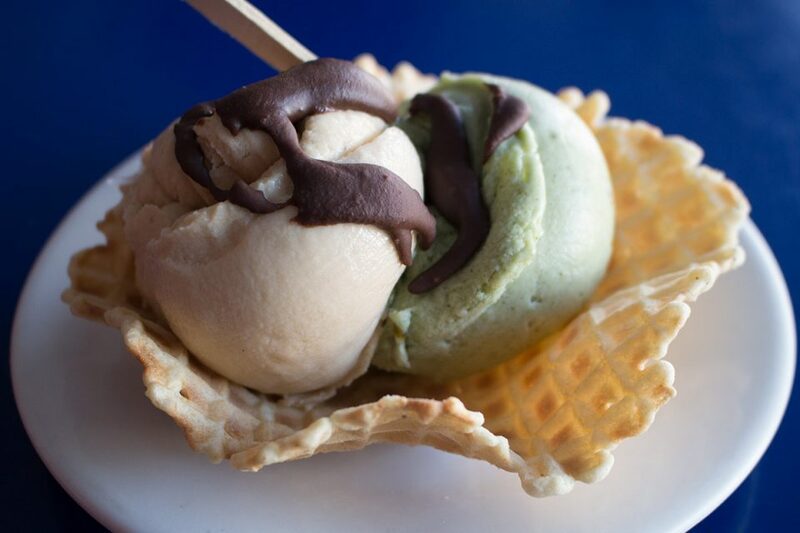 There are a few nicer restaurants where you should encounter better options. However, these are often massively overpriced compared to what you can find in other parts of Peru. And even the food here can be less than desirable. To find good food, head out of the center and ask locals for recommendations. We loved Olas Bravas for great ceviche, arroz con mariscos and tons of other great local options. Budgeteers and culinary adventurers will also want to check out the San Pedro market for tons of regional specialties. Frog juice anyone? It’s freshly squeezed. 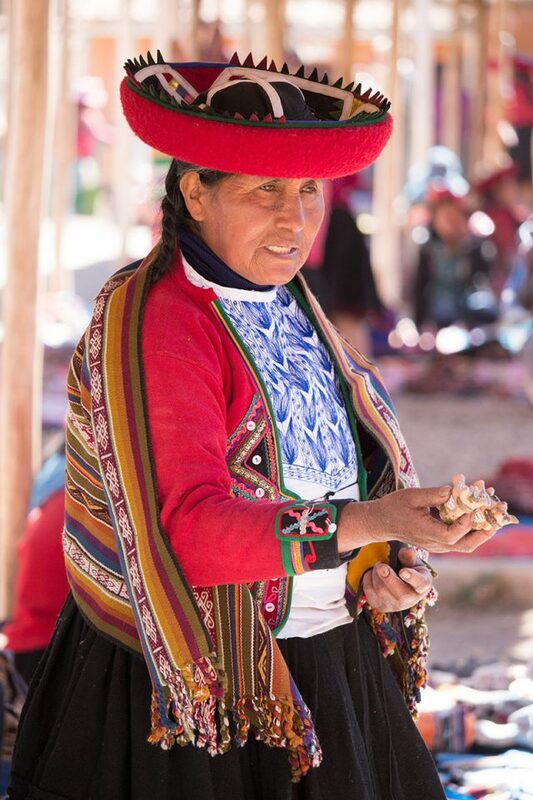 Visiting a local market is a great way to see Quechua people. 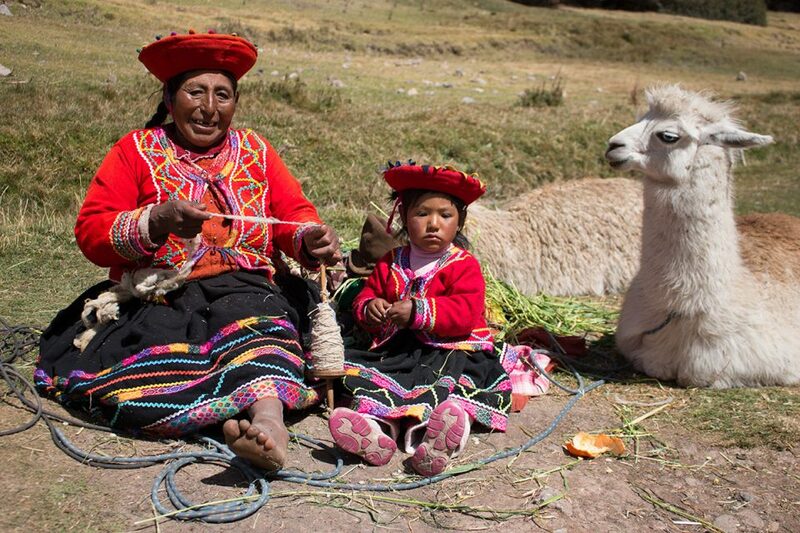 They come down from mountain villages to buy and sell vegetables and textiles. Most tourists head straight for Pisac because the large market there can easily be combined with Pisac’s impressive ruins. If you do go to the Pisac market, cut through the tourist stalls past the lamb ladies (who are very photogenic) and head straight to the fruit and vegetable section. That’s where you will find people in authentic traditional clothing. Don’t forget to photograph the beautiful Indian corn, pumpkins and potatoes. Although Pisac is worth a visit, we actually preferred the much more traditional market in beautiful Chinchero, which bizarrely is much closer to Cusco. Not only does the market offer up a much more authentic experience, but Chinchero also has a beautiful colonial church, terraced Inca ruins and tremendous views of Mt. Veronica. Enjoy those views now… this beautiful little valley is slated to be the location of Cusco’s new international airport. Ugggh!!! 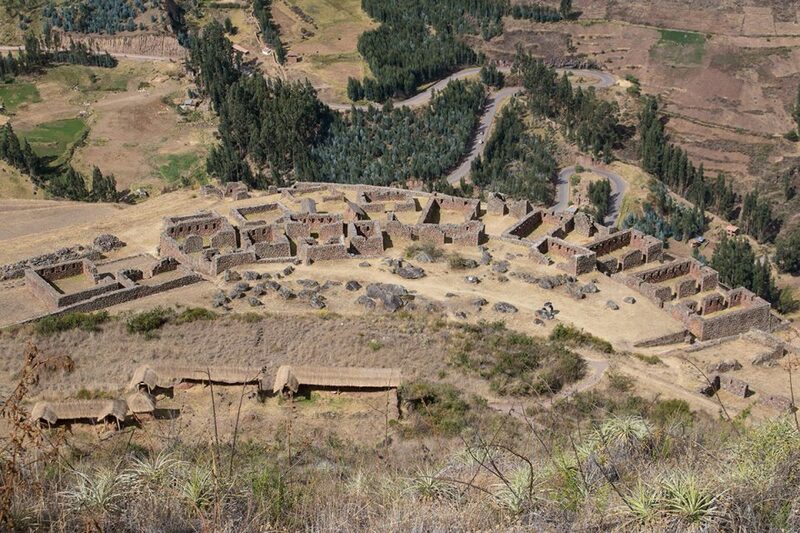 And last (but by no means least), get out into the Sacred Valley and explore the Incan and pre-Incan ruins. Unless you have zero interest in history or culture, we highly recommend you avoid the see-everything-in-a-day tours offered in Cusco. Take a few days and soak up the culture in the valley; get out and walk a little. And don’t worry if you weren’t able to book a trek along the official Inca Trail. 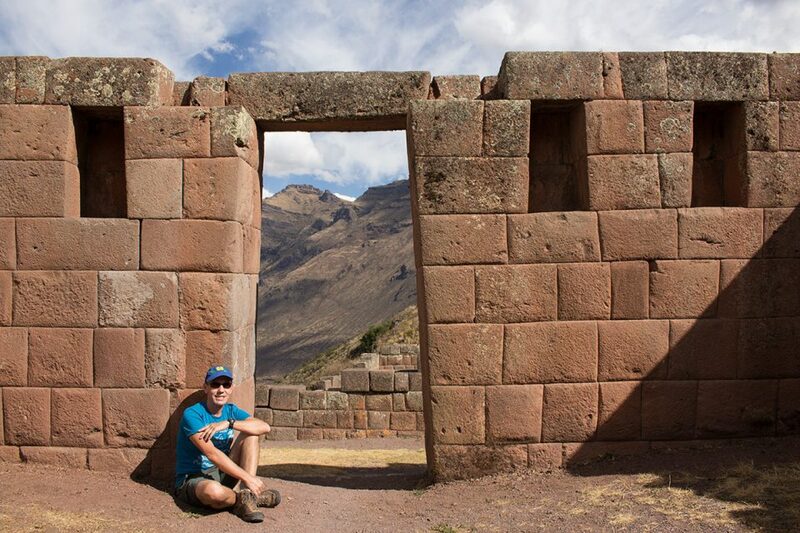 There are plenty of ruins which are accessible without an Inca Trail permit and even other Inca trails to discover on your own. 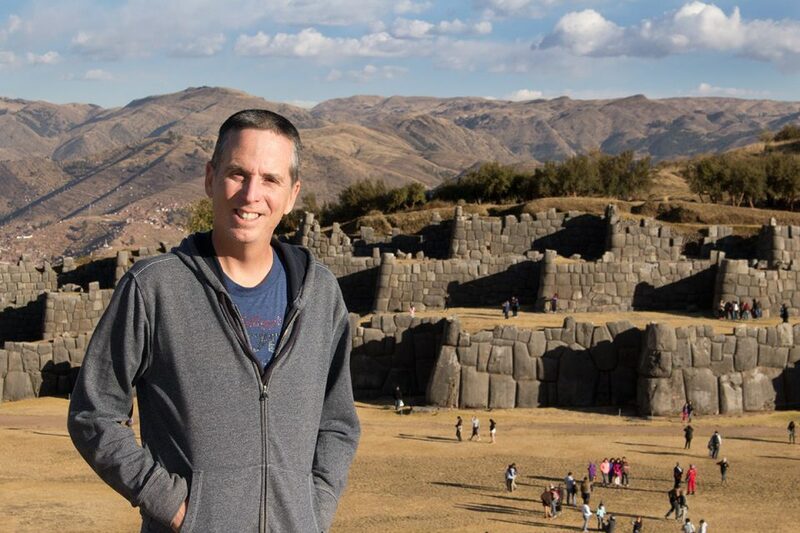 When to Go – The best time to visit Cusco (also spelled Cuzco) and the Sacred Valley is June to August during winter in the Southern Hemisphere. Days tend to be dry, sunny, and clear during peak season. If you prefer fewer crowds and lower prices, you should visit during the shoulder seasons, April to May and October to November. We did the bulk of our traveling in Cusco and the Sacred Valley between July and November, and enjoyed each and every month. 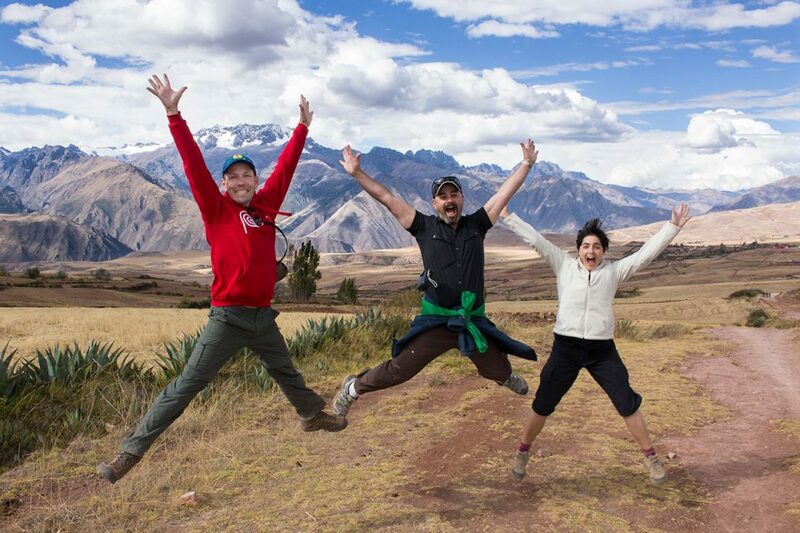 Accommodation – Cusco is the perfect place to spend a few days acclimatizing to the high altitude (3,400 m / 11,200 ft) before exploring the nearby Sacred Valley. The city is full of hotels and guest houses and offers something for every budget. As always, it’s best to book far in advance if you plan to visit Cusco during high season. Check for the best deals on booking.com and agoda. 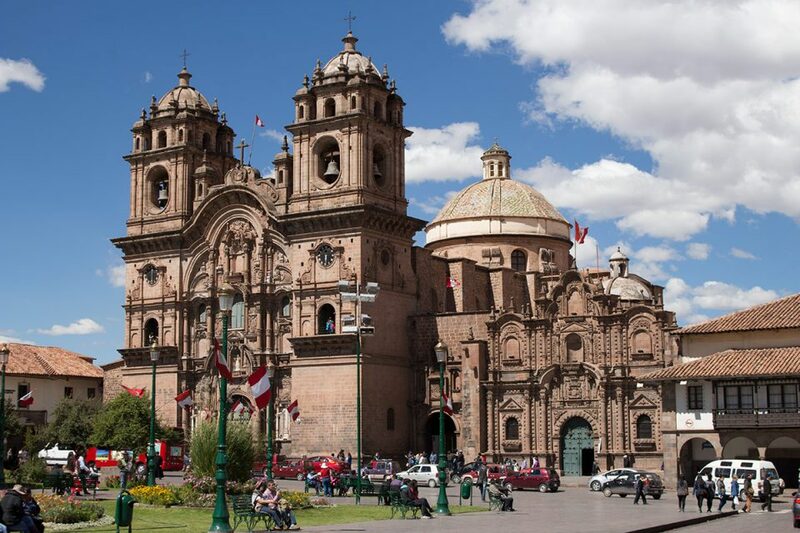 Cusco Tours – Although there isn’t a huge amount of information on do-it-yourself activities, Cusco and the Sacred Valley are relatively easy to explore on your own. You can visit many places of interest on public transportation or by hiring a taxi. If you prefer sightseeing or touring the area as part of a group, a tour would be your best bet. You can choose from a host of local tour operators in Cusco or book your tours in advance through Viator, a reputable online tour operator. Viator offers anything from day trips to multi-day tours, including organized visits to Machu Picchu. 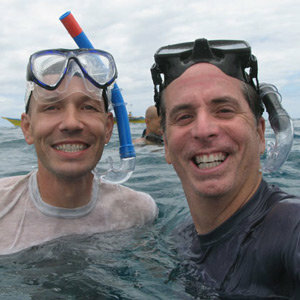 You can also book hiking, biking, rafting or ziplining tours. What a stunning destination! I like the barren landscapes – so gorgeous! And of course, the colors! Lovely local festivals and lovely people. 🙂 I am sure hiking and exploring things on impulse must have been super exhilarating. @Renuka It is a stunning destination with tons of great things to do. And many extended trips to destinations further afield. These are really great pictures. I’m going next June and I was looking up things to do and I found your website. Do you know if there is a book of day hikes in the Cuzco area? 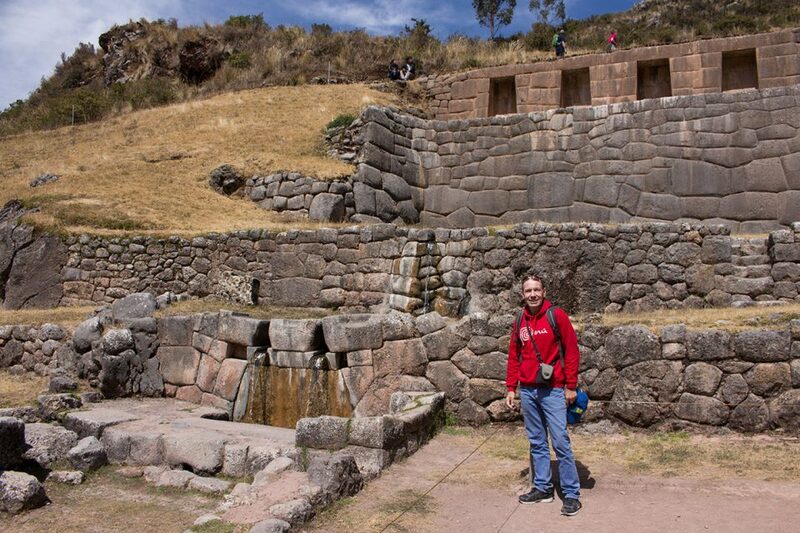 We looked in Cuzco, but we didn’t find anything worth recommending. In general, we actually found it a bit difficult to get information on day hikes. There are some older books, which appear to be out of print. If anyone else has a recommendation let us know. While in Peru found a thing they called Jalea, basically deep fried sea food, I fell in love with it and haven’t found anything like that. 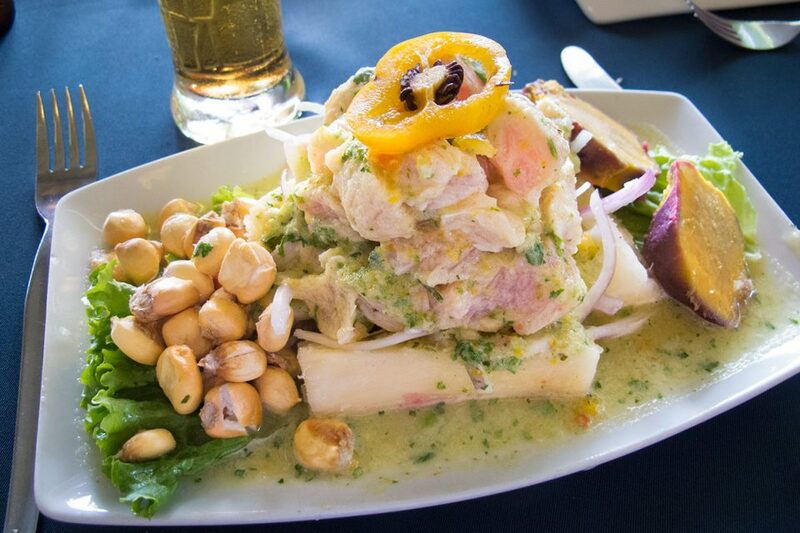 We have totally fallen in love with Peruvian food. At some point, we will do a post on it.